ARLINGTON, Va. — Five companies in the maritime and defense business have been asked to assist with the Secretary of the Navy-directed investigation into underlying causes of the spate of collisions that have cost the lives of 17 sailors and hundreds and millions of dollars in damage. 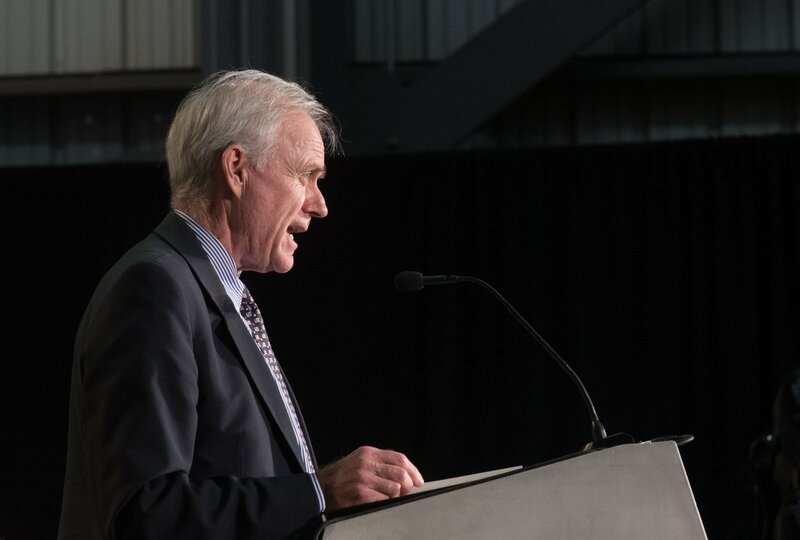 SECNAV Richard V. Spencer has reached out to at least five companies that have gone through institutional restructuring following “meaningful events” in their history to be part of a larger strategic examination of root causes behind three collisions and a grounding of U.S. Navy surface ships in the Western Pacific this year. “The review that I have asked to stand up will be chaired by a civilian and a uniform but we have reached out to industries that have gone through various, different meaningful events and have come out through the other side,” Spencer said in brief remarks at the Defense News Conference on Wednesday. Spencer’s review, announced late Friday, will run parallel with a separate review overseen by U.S. Fleet Forces commander Adm. Phil Davidson. Davidson’s 60-day review will include, “detailed recommendations with respect to corrective actions necessary to ensure the safety of our people, safe operations at sea, and the readiness of our forces,” read the Aug. 24 memo. Spencer said on Wednesday his review would share information with the Davidson review but work toward a larger strategic goal. “For those of you who might think it’s redundant, it’s not at all. What we intend to do here is have the review that Adm. Davidson is heading up be a tactical review as to operations and safety and how we actually operate within the fleet,” Spencer said. A Navy official familiar told USNI News retired Chief of Naval Operations Adm. Gary Roughead and chairman of the Pentagon’s Defense Business Board Michael Joseph Bayer will be part of the Spencer review. The investigations into the Navy’s Western Pacific surface operations are running in parallel to several individual investigations into the collisions between USS John S. McCain (DDG-56) and USS Fitzgerald (DDG-62) and merchant ships. Early results from the look into the June 17 Fitzgerald collision, resulted in the removal of the command triad of the ship. Following the Aug. 21 collision between McCain, Vice Adm. Joseph Aucoin was removed from command of U.S. 7th Fleet. Whether or not more in the Navy will be punished is still to be determined Spencer said. “We’re going to hold those accountable where it’s called for,” he said.